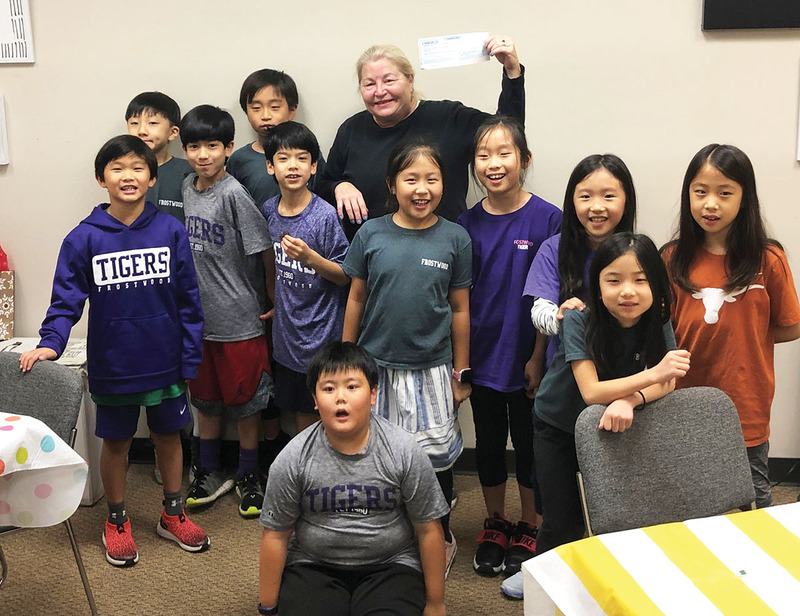 Frostwood Elementary School students Dylan and Kyle Elhusseini worked with Frostwood Elementary Korean Buddy 2028 to host their annual winter fundraiser. They sold hot chocolate and raised $330 for the nonprofit A World For Children. Pictured are (front row, from left) Danny Lee, Emily Bang; (second row, from left) Daniel Lee, Dylan Elhusseini, Kyle Elhusseini, Claire Yang, Kayla Chon, Emma Kim, Hannah Cha; (third row, from left) Ian Chung, David Park and Ms. Barbara Baldovin. Not pictured: Julian Jung and Liam Kirkpatrick.